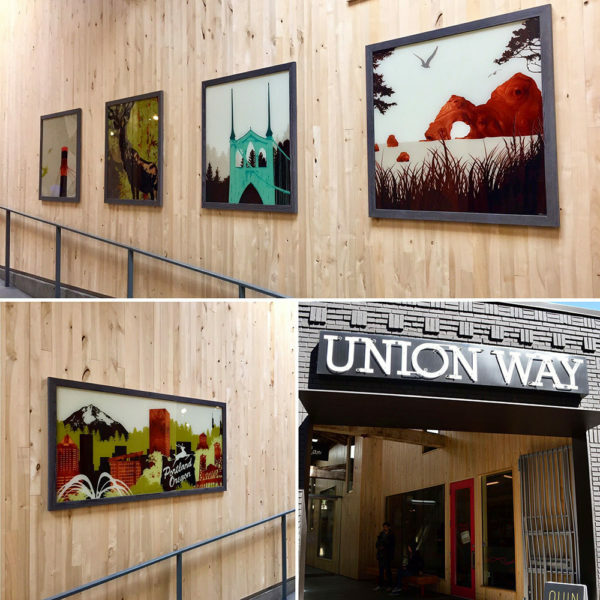 union way in portland selected 4 of our local prints for their walls. it’s a unique, light-filled space with a covered walkway, flanked by boutique stores and a restaurant. we’re super excited to have our work in such a thoughtfully designed, centrally located building.